These 7 cool multipurpose products can be transformed to suit your occasion. And make the most of your precious space. Create the ultimate sanctuary for relaxing, and the best place for having fun with friends. 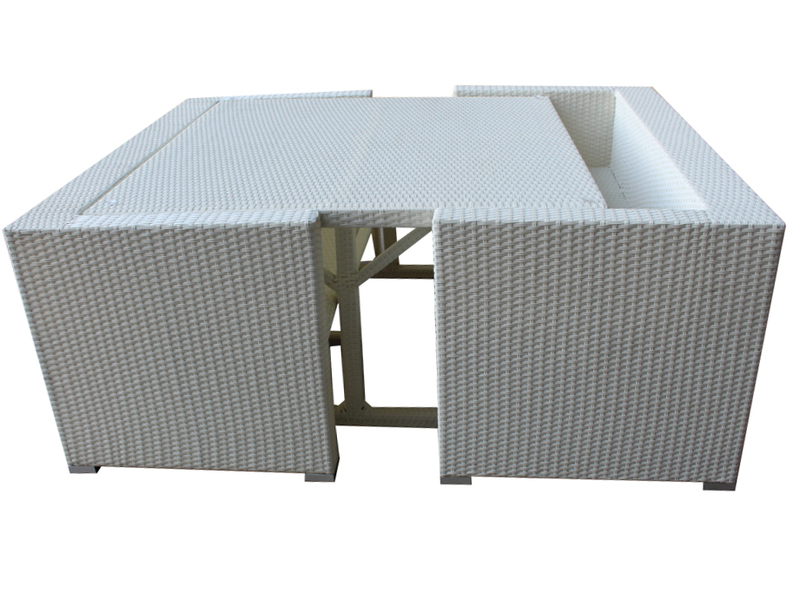 This luxurious day bed creates a resort feel bedside the pool. Remove the canopy to create a whole new look and feel. Have a party of Olympic proportions. 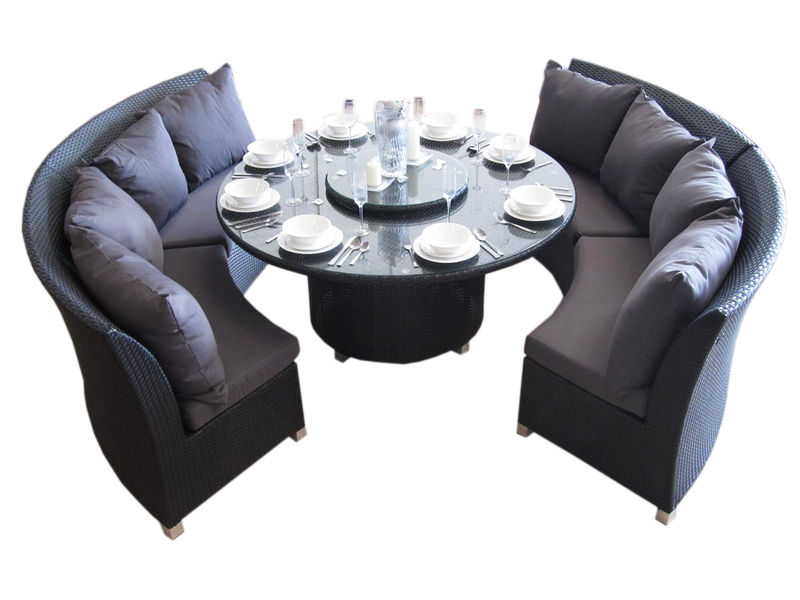 Everyone can sit around and talk, with this ultra modern round sofa. 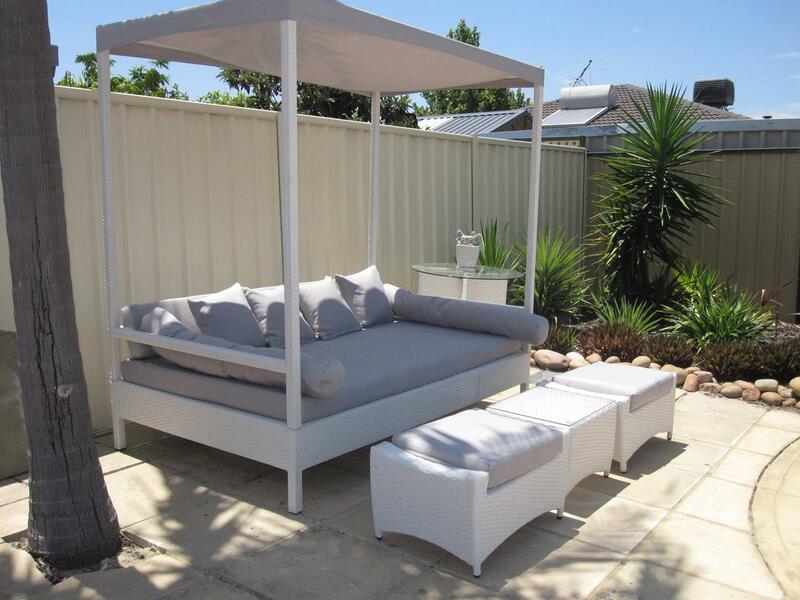 Transformed into a large and beautiful day bed, that will fit your whole family. An extra cushion is included for the coffee table. This modern low-line piece will add style to your outdoor area. All chairs and stools tuck away. Keep off dust, pets, and pests when not in use. And save your precious space. Also available as an 8-seater. Move this versatile lounge in an almost infinite number of arrangements. Suit any space or occasion perfectly. Like the Lake Valencia, but with comfortable 3-seat sofas instead of chairs. 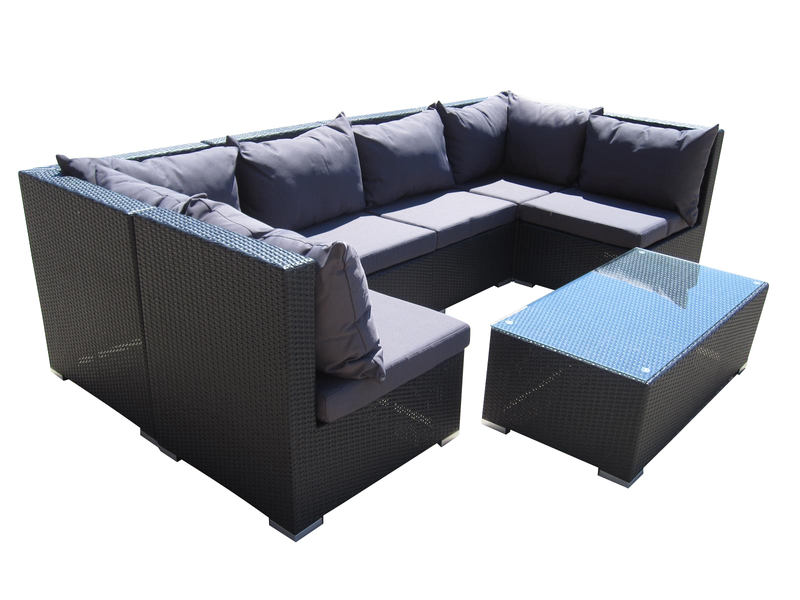 Use the footstools and sofas together to relax in ultimate comfort outdoors. Perfect for watching an outdoor TV. 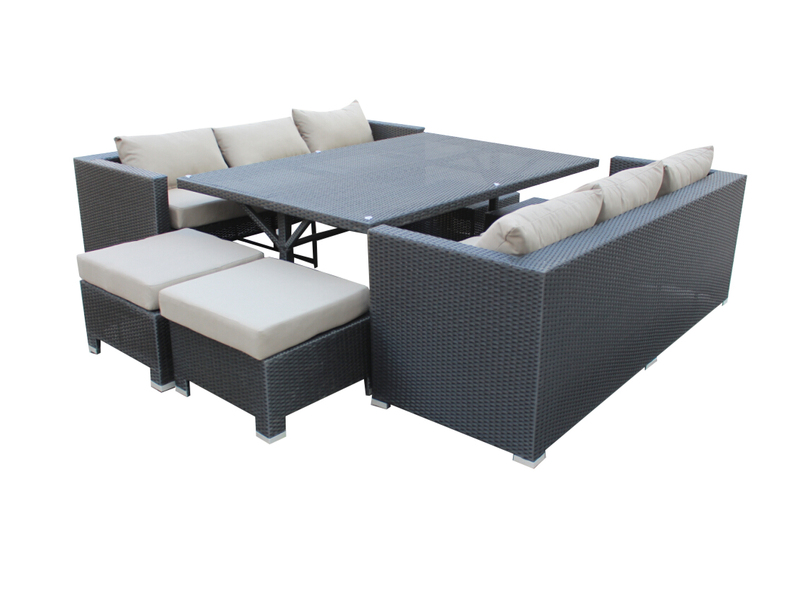 This luxurious dining set will create a resort feeling in your garden. Transform to create three unique looks. 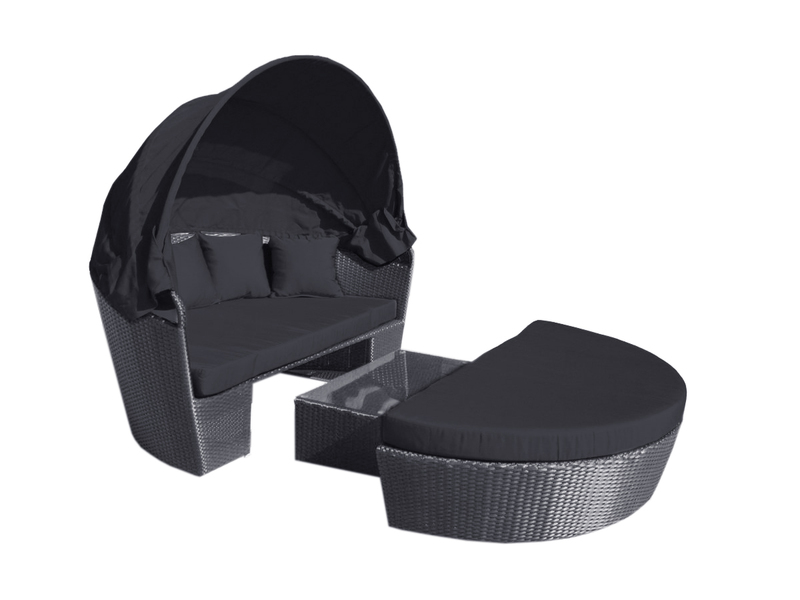 Relax in sun or shade with the retractable canopy. And even better, surprise guests with a hidden coffee table. Create two sofas, and enjoy drinks with friends. 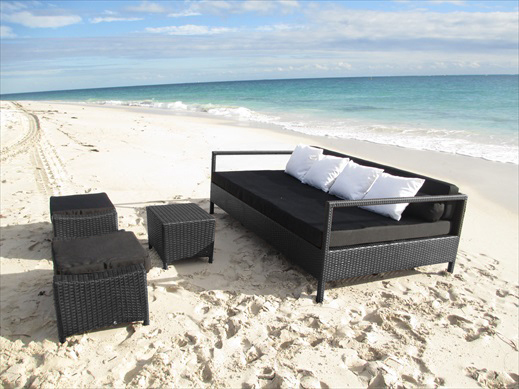 Browse more outdoor furniture from Urbani. 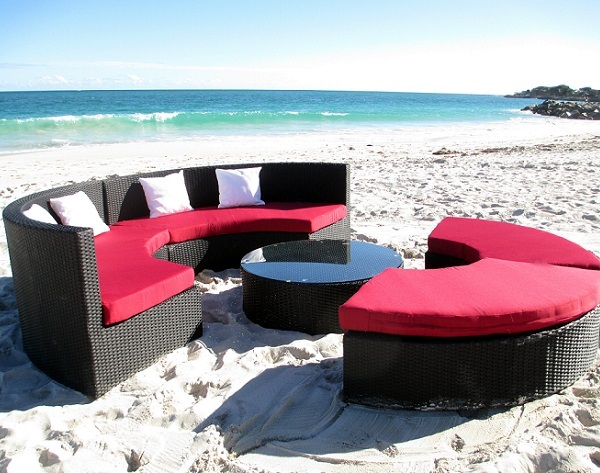 We sell modern wicker furniture just for Perth.